Last week’s article explored how the 1800 Presidential election motivated the highly partisan Democratic-Republicans and Federalists to pursue Article V’s extremely challenging process of amending the Constitution in order to avoid a repeat of the Jefferson-Burr fiasco (caused largely by the Democratic-Republicans’ failure to order one of its electors to vote for a favorite son, thereby avoiding a tie vote for its two candidates). The Twelfth Amendment cured what in 1800 proved to be the most significant defect of Article V by requiring each elector to cast one vote for President and one vote for Vice President. The Twelfth Amendment further provides that in the event no candidate receives a majority of the electoral votes, the House of Representatives will select the President among the three candidates who receive the most electoral votes. This provision became important in the second, and last, election in which the House of Representatives selected the President. By 1824, the Federalist Party had collapsed, leaving the Democratic-Republicans to run a candidate or candidates for President. Four men ran to become the nation’s sixth President: John Quincy Adams, Andrew Jackson, Henry Clay, and William Crawford. It is the rare history buff who remembers Crawford, who served as Secretary of the Treasury, but he was the official candidate of the party caucus even though he was in poor health. Jackson garnered the most popular and electoral votes, but not a majority. Clay came in fourth, so he was out of the running. Clay, however, wielded great influence as Speaker of the House. He detested Jackson and threw his support to Adams in exchange for Adams’ promise to make Clay Secretary of State. Adams won the Presidency on the first vote, as contrasted with 1800’s thirty-six. Jackson had his revenge four years later when he swamped Adams by a 2-1 margin in the Electoral College. By that time, only two state legislatures selected their electors, meaning that most electors were determined by the popular vote. The 1824 election fractured the Democratic-Republican Party. 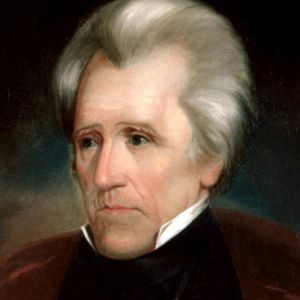 Those who followed Jackson ultimately became the Democratic Party. Those who followed Adams and Clay founded the Whig Party, the predecessor to yet another party, Abraham Lincoln’s Republican Party. The take-away from the 1824 election is two-fold: the Twelfth Amendment worked, thus avoiding another Constitutional crisis; and the election generated a split in what had been the only viable political party, the Democratic-Republicans. As I said earlier, the House of Representatives has not selected the President since the 1824 election. We have witnessed what can happen even when a candidate receives a majority of the electoral votes (civil war). How will American voters react in a future election if a candidate does not receive a majority of the electoral votes (most likely due to a tie)? Remember, the Twelfth Amendment did not change the voting methodology in the House of Representatives – each state has only one vote. This country has had some very close Presidential elections in the not-too-distant past (2004, 2000, 1968, 1960). Will Americans take a collective deep breath and accept as President a candidate who wins neither the popular vote nor the electoral vote, but wins a majority of states in the House of Representatives? We can only hope we do not have to answer that question in the not-too-distant future.